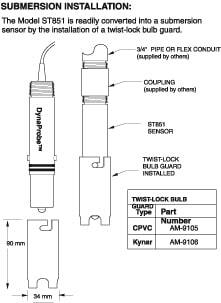 The ST851 is a rugged, sealed industrial pH or ORP sensor assembly designed for in-line or submersion applications in most industrial measurements, including waste water. 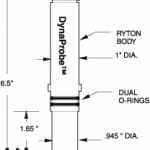 They have proven ability to outperform conventional sensors in the toughest process applications. The patented solid state reference cell features the unique IonTrap™ design for extended service life in the most severe applications. 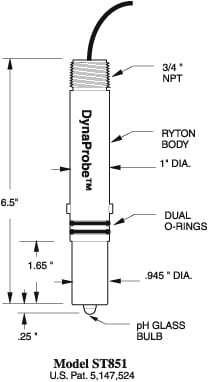 The body is moulded from chemically resistant Ryton (PPS) and the reference junction is either porous Teflon or wood. Built-in temperature compensators are available. 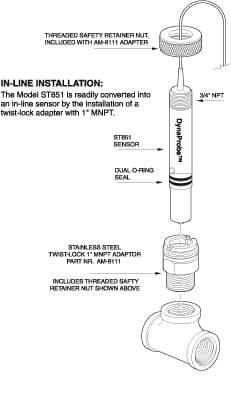 Optional sensor guard locks onto the front of the sensor and protects the sensor tip from impact. 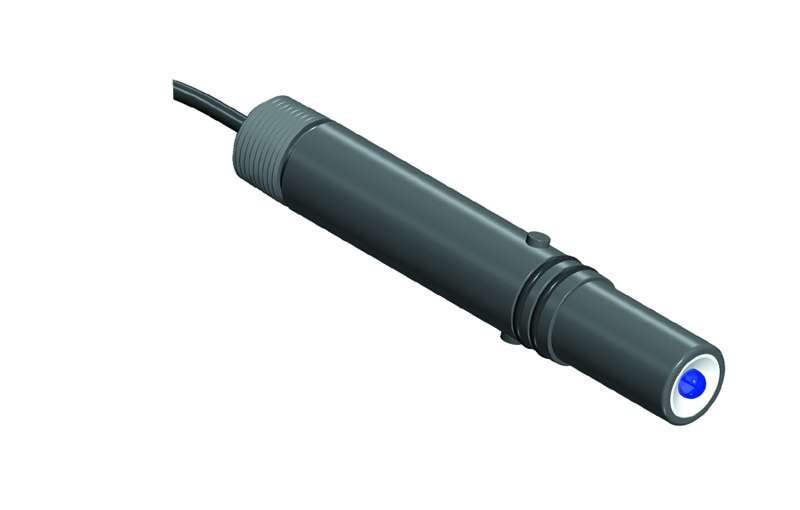 Sensor also available in ORP (Redox) version. [A] Low Noise Coax ( < 80º C service ) – for more than 7 ft.
[E] Jacketed Coax w/ TC leads ( < 80º C service ) – for more than 7 ft.